If you are an xbox player and want to have a PC Controller well here is a good way to get one for a cheap price. If you still got the original xbox controllers well you can mod it to PC controller by cutting the end of the controller wire, the end where u plug it in to the console. strip it enough to see the copper wiring. Now grab a USB cable , if you don't have one to spare go to the Dollar Tree Store and buy one. Cut the USB cable open as well. U want to keep the male side. Now connect the USB cable with the Xbox Wires...You should connect them by color, now you will have an extra wire sticking out that wont have a pair to connect. Don't worry about that, u don't need that one. Use Electrical Tape and tape the individual colored wires so they wont touch the other colored wires, helps prevent any malfunctions. Now Tape all the wires together so it can have a stronger hold so it wont get pulled. Get a good amount of tape. This should be the end result. Re: Need A PC Controller? 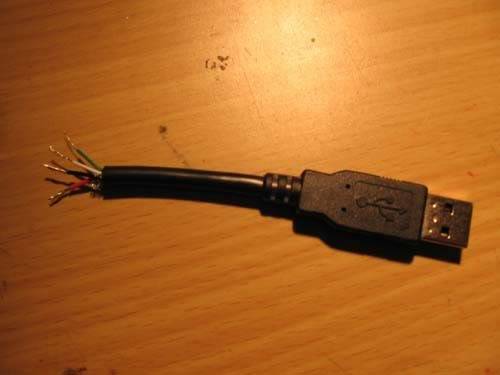 why wont an xbox 360 controller work dont it plug into a usb? Here is the link to download the driver for that. this link is for windows xp. All u needed is the drivers so the computer knows about the wired controller. wireless 360 wont wont work on pc, but i think regular 360 controller, none wireless, does. I do have a 360 pc controller.